We’re back again for another week recapping what all the celebs rocked this week! Earlier this week, we covered the Top 10 Sneakers from NBA Media Day, but we did miss out on a few, so we have to apologize. Those who missed the cut were Pelican All-Star Anthony Davis who debuted the all-new Air Force Max and the Magic’s Isaiah Briscoe (yeah, who the hell is that?) in the Air Jordan 8 Doernbecher. 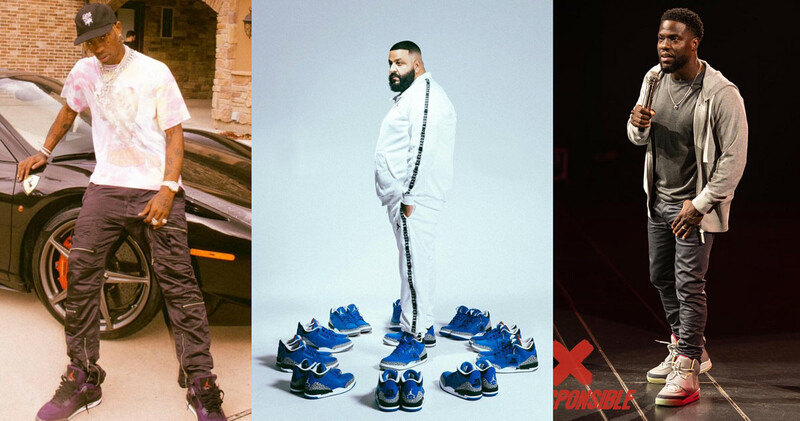 But apart from the hoopers, there was some serious PE heat coming from DJ Khaled and Travis Scott, but nobody could top Kevin Hart’s double of the Air Yeezy 1 and Black and Gold Top Three Air Jordan 1s. Take a peep below to catch up on all this week’s drip.